Moist. Woods, savannas, thickets, prairies, fencerows. Full to partial sun. This is a vine. The stem has no prickles. Almost all of the nodes have tendrils. The leaf upperside is dull, not shiny. The leaf underside is pale green and hairless. The stalk of the inflorescence is 4 to 8 times as long as the stalk of the adjacent leaf. Blue Ridge carrion flower (Smilax lasioneura) leaf underside has fine hairs along the veins and sometimes between the veins. 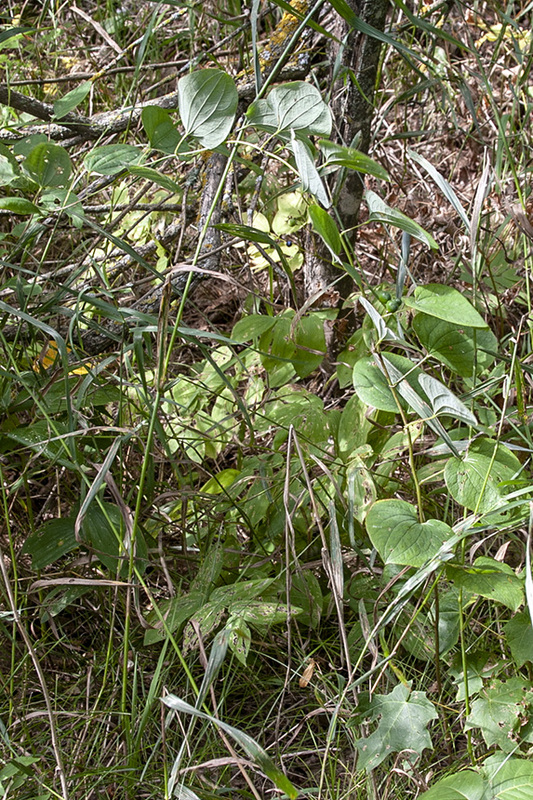 The tendrils are conspicuously curled and arise from almost all nodes, including those from which peduncles rise. The peduncle is less than 4 times as long as the petioles of the adjacent leaf. It is much more common and is found throughout the state. 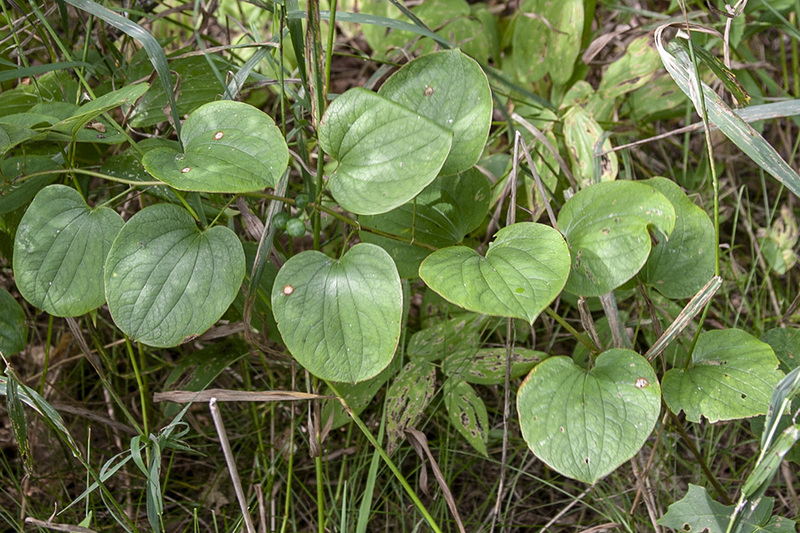 It has been suggested that smooth carrionflower (Smilax herbacea) does not occur in Minnesota, and that all records and herbarium specimens in the state be referred to as Blue Ridge carrion flower (Smilax lasioneura). Field observations of potential specimens should be carefully examined for fine hairs along the veins on the lower leaf surface. Smooth carrionflower should be completely hairless.